After the death of legendary Canadian songwriter and poet Leonard Cohen, a longtime fan and admirer embarks on a curious quest. What might Leonard Cohen’s Montreal neighborhood reveal at a time of personal loss and confusion? “Journey to the End of Love” vividly and vulnerably recounts one man’s self-sleuthing in a hero’s shadow. 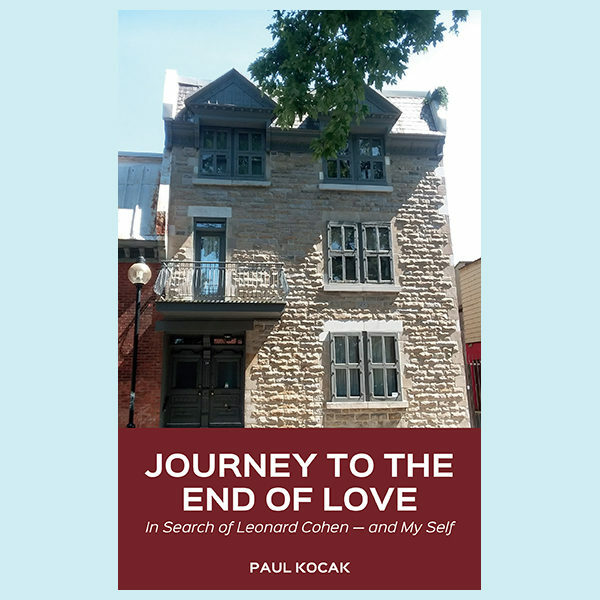 By turns darkly comic, piercingly honest, and fantasy-driven, this memoir will entertain not only fans of Leonard Cohen but also any reader who sees travel as personal exploration and discovery.